On the 22 of June 2017, the Australian Government passed the Copyright Amendment (Disability Access and Other Measures) Act 2017 (Act), which introduced major changes to the Copyright Act 1968 (Cth) that aim to simplify how long materials can be protected by copyright laws. From 1 January 2019, changes to the Copyright Act 1968 (Cth) will apply to all literary, dramatic, musical and artistic works (Works), sound recordings and films that are not made public before 1 January 2019, or that are created or made public on or after 1 January 2019. Previously, unpublished materials were protected indefinitely. However, copyright will now subsist for the life of the author plus 70 years for all Works provided that the material is not first made public before 1 January 2019. For sound or film recordings, or Works where the author is unknown, copyright will only subsist for 70 years after creation, unless those materials are made public within 50 years of creation, in which case copyright will subsist for 70 years after being made public. For copyright material that is owned by the Commonwealth or State Government, the copyright will subsist for 50 years after creation. How is copyright material ‘made public’? The concept of copyright material being made public is broader than ‘publication’. ‘Publication’ would involve supplying or offering copies of the material to the public, whereas copyright material could be ‘made public’ if it is merely available to the public. For example, copyright material will be made public if has been published or posted online or performed in public. While the Act was enacted to “enhance access to copyright material for persons with a disability”, it also “set new standard terms of protection for published and unpublished materials and for crown copyright in original materials.” The multifaceted nature of the Act is outside the scope of this article. In relation to the new regime described above for the duration of protection – it is important to remember that a party seeking to be protected by these rules is not required to show that the Works have definitely never been made available to the public before 1 January 2019. A reasonable search for evidence that it hasn’t is all that is required. 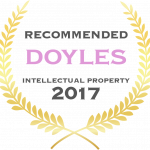 If you need assistance with an intellectual property matter, please telephone me for an obligation free and confidential discussion.